Tackling the subject of ‘Strangers’, animation super-collective Late Night Work Club return with their latest compilation of short films. 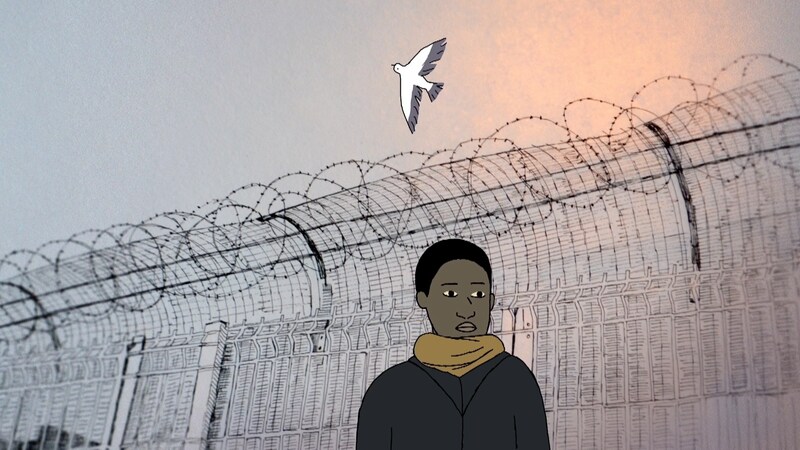 Brought together through their shared theme, the films tackle subjects ranging from the refugee crisis to online romance and put to use a variety of animation techniques from more traditional paper drawn approaches to live community animation experiments. Though the style each animator adopts varies throughout the compiled run-time of 42-minutes, the one thing these films all share (alongside the subject matter) is their unconventional approach to narrative – if you’re looking for more traditional character-based storytelling this probably isn’t the project for you. Saying that, whilst the storytelling is often somewhat abstract, the emotions the films elicit are ones we’re all familiar with. From unexpected sentimentality to uncontrollable laughter , Strangers has a little something from everyone and whether you’re left flushed with nostalgia or questioning your whole existence, you should find something to take-away from the anthology. Featuring SotW alum’s Sean Buckelew & Kirsten Lepore, SotW bumper designer Caleb Wood, SotW team member/alum Jeanette Bonds and a whole bunch of other animators we admire (Nicolas Menard, Alex Grigg and Loup Blaster), though we might have a vested interest in Late Night Work Club, it’s a project all short film and animation fans should be excited about…just be sure you make yourself the official LNWC cocktail when screening.